5 Bedroom Terraced House For Sale in London for Asking Price £1,500,000. This brilliant Victorian house has a gorgeous 70 ft south-west facing garden and over 2,300 sq ft of pristine living space. The ground floor has been superbly extended to create a wonderful eat-in kitchen that has a generous amount of built in units and a built in seating area in one corner, perfect for the family dining table. 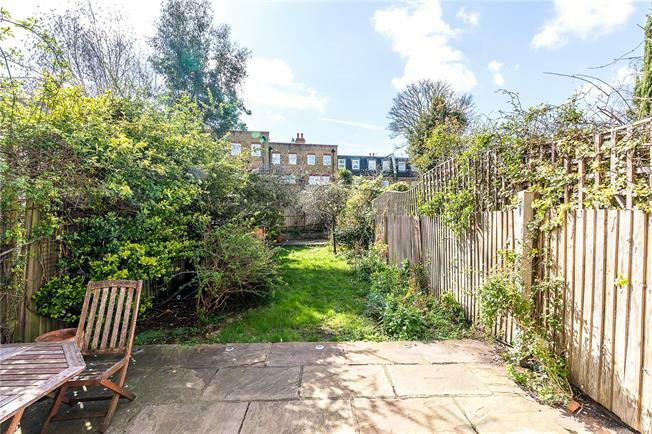 The kitchen opens out into the garden, which is about as good as you can find in this part of London, and has a mixture of paving and grass. The double reception room is open and bright, perfect for entertaining as well as relaxing. Upstairs, there are five generous double bedrooms and two modern bathrooms. The cellar has been converted into a very useful utility room, with necessary appliances and more storage. Englewood Road is a very pretty tree lined street with symmetrical architecture all the way down. The house is less than 300 meters from Clapham South tube station (Northern Line), Clapham Common and the vast array of shops, restaurants and cafes that line Balham Hill. For an even greater variety of amenities, the ever popular Abbeville Road is also just 300 meters away. There is a large collection of excellent primary schools in the vicinity with Oliver House, Alderbrook, Thomas's and Hornsby House all nearby. Englewood Road is a quiet one-way road and has resident permit only parking at all times.